Last year, SLAM PH ran GET HYPED, our way of breaking down the upcoming NBA season. Back then it seemed as if the NBA went through an overhaul of sorts with all the changes that happened in the 2017 offseason. “That’s cute,” said the 2018 NBA offseason. LeBron left the East to join the young Lakers. That one move simultaneously opened up the conference for any takers, and turned LA into a sudden contender in the West. That was just the beginning. Kawhi was shipped North, Melo joined the Rockets and Boogie completed the Warriors’ All-Star five. The new NBA season is gearing up to be one of the most exciting and unpredictable ones in the history of the league. So, once again, get hyped! The NBA is back! The 8th of July eight years ago will always be remembered as a day of infamy for Cleveland Cavaliers’ fans. Hometown hero LeBron James was leaving for South Beach. Without the King, Cleveland’s outlook wasn’t looking good. Rock and Roll City just hit rock bottom. Without James, the Cavs would go on to have an unforgettable 2010-11 season as the team went from one of the League’s best to one of its worst. Cleveland missed the postseason after making the playoffs a year earlier as the Eastern Conference’s top seed. There was a silver lining in that disaster of a campaign, as the team snagged the No.1 spot in the 2011 NBA Draft. The last time the Cavs had the first selection in the draft, it ended up quite well. They drafted James who changed the course of the franchise and put Cleveland basketball on the map. After spending only one year in the college, Kyrie Irving was immediately thrown into the fire to turn around things for a team still reeling from the departure of its best player. Young as he may be back then, the Duke product was handled the reins in a League filled with the likes of a healthy Derrick Rose, Chris Paul, Tony Parker and Russell Westbrook, all playing the same position. 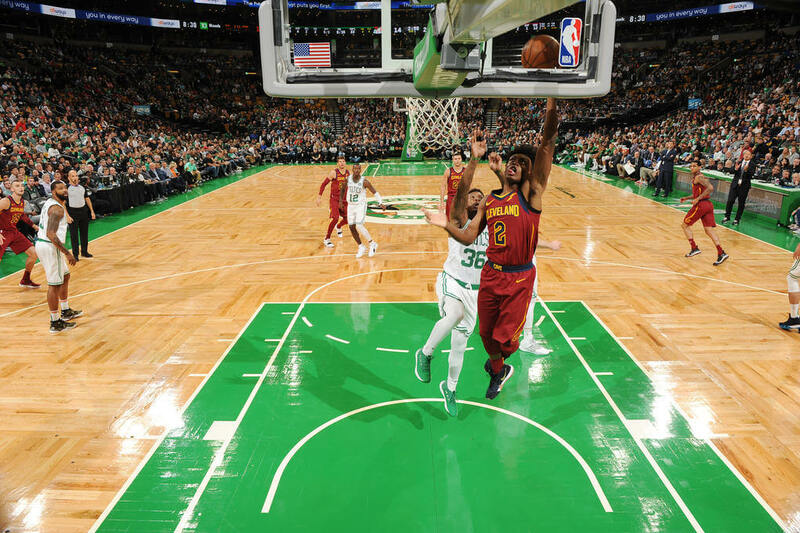 Yet despite his lack of experience, Irving made the most out of his physical gifts and innate skill in holding his ground against these more elite backcourt counterparts. Irving was crowned as Rookie of the Year just like what James achieved before. Cleveland finished a tad better with two more wins but were still at the bottom of the Eastern Conference. Yet, the emergence of their young playmaker proved to be a sign of things to come for the struggling franchise. For the next two seasons, Cleveland, with Irving at the helm, would continue to improve as the wins begun to accumulate. Though they never made the Playoff in that stretch, it showed that they were in good position to make a return to the NBA’s upper echelon. This feat didn’t go unnoticed. Sensing that something special was in store for the squad with Irving, James made a surprising decision to return to Ohio and deliver on his promise to his hometown. This time, James had Irving, a dynamic playmaker on his side. For the next three seasons, this tandem has brought consecutive Finals appearances for the Cavaliers highlighted by an NBA title run in 2015-16. However, these achievements were overshadowed by a supposed rift, as Irving refused to play second fiddle to the King as the face of the franchise. The team still gutted through and made the Finals again even without Irving in the fold, but his absence was obviously telling for Cleveland thru a 4-game sweep at the hands of Golden State. With James leaving at season’s end, the writing was on the wall that the franchise will be rebuilding anew. Just like James and Irving before, Cleveland will be pining its hopes on its latest draftee. He may not be of the same cut as batch mates DeAndre Ayton, Luka Doncic and Trae Young, but Collin Sexton is in a unique class of his own. Like Irving, Sexton is a legit playmaker that imposes his dominance on-court, regardless of him being a rookie in the League. In 2011, it was Irving that dazzled the rest of the League with his on-court brilliance. This time, it’s the 8th overall pick of the 2018 Draft that will be looking to impose his mark while quarterbacking for a Cavs squad minus their top playmaker from a season ago in James. In that loss against the University of Minnesota, Sexton dropped 40 points while adding six boards and five dimes. While the collegiate game differs significantly from the pro version, this willingness to win of the freshman despite the odds definitely augurs well for his basketball career going forward. Irving may have been a ball-handling wizard in which he lured defenders either to sleep or split their ankles apart. On the other side, Sexton is the more aggressive guard ready to attack the defense at any given set. He may not be the tallest or biggest of the lot at 6’2″ and 190 pounds, but expect him to be always mixing it up. He’s been carrying that rep since his prep years, the same time that he was coined his moniker “Young Bull”. 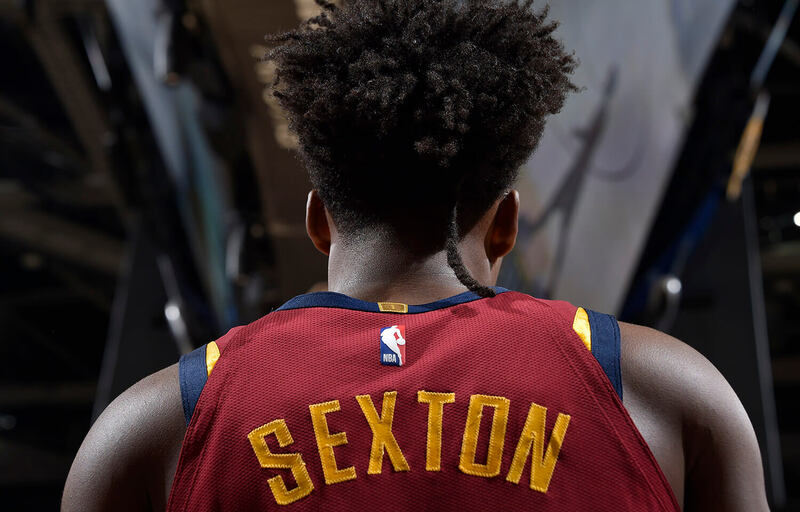 Sexton is a unique blend of point guards. Offensively, he plays like De’Aaron Fox, a cat-quick guard who can get to the rim easily. Defensively, he’s a bulldog like Patrick Beverley, eager to lock down any player put in front of him. Sexton may not immediately start unlike Irving. George Hill is still on the team and the Cavaliers may opt to run with the veteran presence. But he’ll most likely be a key part of Tyronn Lue’s rotation as the season progresses. Inasmuch as there are differences in the games and playing styles of Sexton and Irving, there are parallelisms that go beyond their understanding of Xs and Os. Both only spent a season in college, were first round draft picks, and came at a time when their team’s best player left. 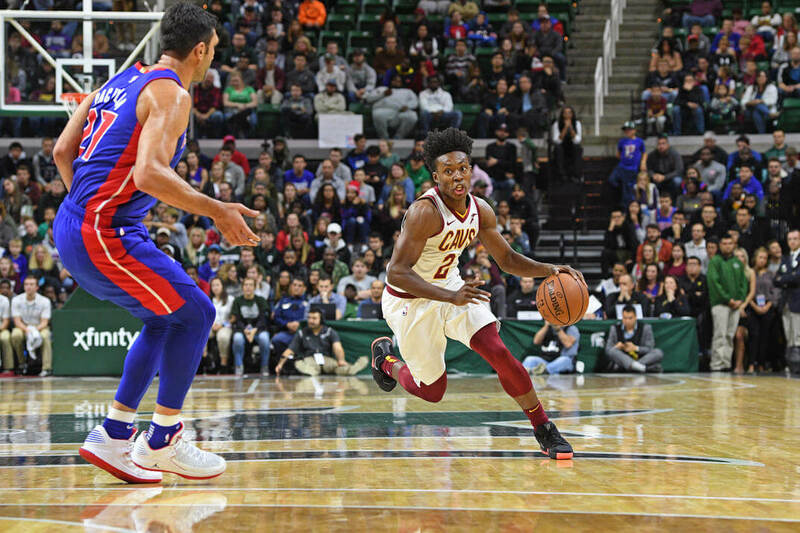 Should this storyline remain consistent, this time with Sexton in the fold, Cleveland would still probably have their dark times, but it won’t be that long before they ascend anew to the top of the League with the Young Bull charging ahead.